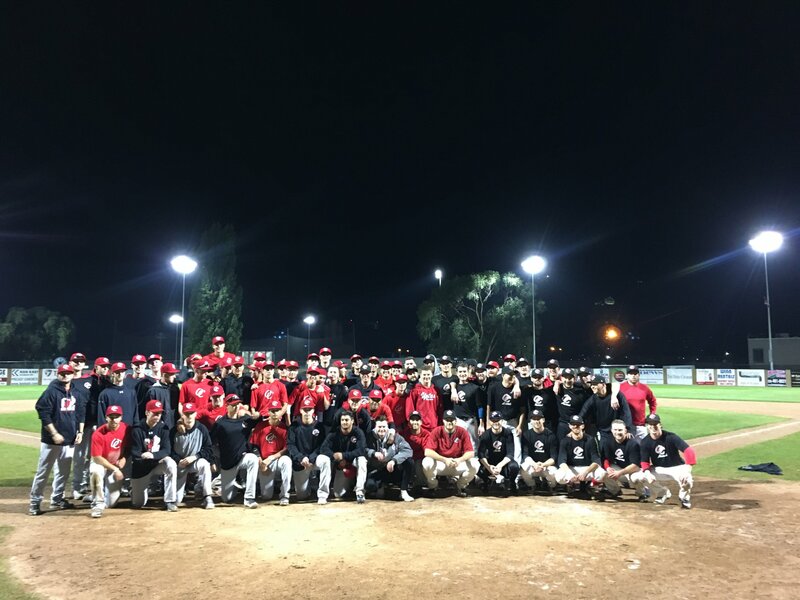 The Okanagan College Coyotes hosted their annual OC alumni weekend this past Saturday as they would play a double header against past Coyote players. For the first time since the alumni games have been played, the current OC team would take both games by scores of 6-5 and 17-4. As always, the end scores are not the main focus of the day, it is about the past Coyotes coming back to the ballfield to enjoy playing in OC colors once again. This year had representatives from all the past years teams. In total there were 27 Alumni, including 4 from last years CCBC championship team. We would like to thank all of the Alumni for coming out to the games, especially those from out of town.